WINTER FINE ARTS NIGHT: We are so proud of our student singers and the supportive audience who came to see them perform last week. Kudos to Jacob for his creative and thoughtful planning and preparation, which helped our students show off their best. MIDDLE SCHOOL EXAMS: Exams begin Thursday for grades 6-8. These end-of-term exercises give teachers a chance to see how well their students have mastered the material, and they give the students valuable practice in reviewing and studying for longer tests. Much of this week will be given to classroom review and preparation for exams. Please help them reflect on the semester, identify strengths and weaknesses, choose appropriate study strategies, and ask teachers for clarification, all things which the faculty are reinforcing in review sessions this week and next. Families should also support these exams as practice of the study skills of organization and focus and the practice of life skills of stress and time management: middle school is a time to practice and prepare for life in high school and beyond. CRAZY 8s MATH CLUB: This week you’re going to play a whole bunch of different games with a beach ball – all involving math! You’ll estimate how many breaths it takes to blow up a beach ball, then play volleyball, and lastly, play your own version of Gaga. You’ll have a ball! Also, remember that there will be no Crazy 8s next Wednesday, December 21st due to the half-day. PAJAMA DAY: This Thursday the Student Council is planning to have a pajama day! It will be a fun and comfy way to start exams for middle schoolers, or just a fun Thursday for younger students not taking exams. This is not a fundraiser so you do not have to bring money if you want to where pajama's. LATIN CLUB FLOWER SALE: The Latin Club will continue to sell flowers throughout the week, until they are all gone. They are $2 each. SKATING: All K-8th graders will go skating for the last time this Friday, please remember to pick up at the Fenton Chester Arena between 3:15-3:30. MYTHOLOGY DAY: December 21 is Mythology Day for K-8th graders; note that there is an early dismissal at 12:30 that day. In honor of our tradition of classical studies at Riverside, and in conjunction with the ancient holiday of Saturnalia, which fell near the winter solstice, we will fill the day with activities for all students about mythology. Each student has picked a mythological character to dress up as on Friday. Students will be responsible for doing some research about their characters and should prepare a costume at home. 8th graders are also taking responsibility for planning activities on classical topics. The school has many resources for information and costumes, students should ask for help as needed. You may reach Nathan at nathan.gair@theriversideschool.org. We welcome parents to join us for any portion of the day, we’ll have a detailed schedule in next week’s Memo. SLEDDING PARTY: The student council will be hosting an after-school sledding party Tuesday, December 20. Parents and students are invited to sled on the hill at school from 3:45-5:00pm and will be supervised by volunteer parents. Sledders should bring appropriate clothing flash lights. There is a suggested donation of five dollars per person towards the Heifer Project; and there will be a bake sale as well. Please communicate clearly with Krystal or Annie if your child usually attends the After School Program and you would like them to be at the sledding party instead. AUCTION: Mark your calendars for Saturday, February 4, 6:00pm for the parents’ biggest fundraising effort of the year. This year’s theme is “Love Around the World.” All parents should have received a 2-page letter from Auction Chair parent Kim Rowell (5th grader Josie) in the mail that explains the event and all the different ways parents can contribute. Questions can be directed to Kim or Krystal. A couple of details to reinforce: Offer a donation of your own skills, talents, or assets (legal services, construction, baking/cooking, party hosing, vacation real estate, frequent flyer miles, a craft item) or a donation from a business where you have a connection (talk to Krystal first), to be submitted before January 13. Contribute to a class-themed basket raffle (Preschool: North America & Antartica; K- 1: Asia; 2-3: Europe; 4-5: South America; 6-8 Africa & Australia) before January 20. Volunteer to help with preparing the catalogue, decorating, preparing food, or helping at the registration table. Plan to attend, and make a point of inviting others to join you for a fun evening out! REGULATING INDEPENDENT SCHOOLS: Thank you to all those who attending the meeting last week at SJA with representatives from the Vermont School Board Association. To their credit, they listened for more than 3 hours to all of those who signed up to testify. We hope our message that independent schools serve a real need in the NEK in an equitable way was understood. 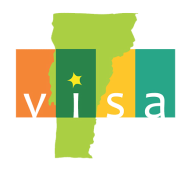 It is still helpful to send written testimony to the VSBA (SBE.PublicComment@vermont.gov), use "SBE Rule 2200 Series" in the subject line of your message. PARENT TESTIMONIALS & WEBSITE LAUNCH: We are happy to announce that we will be relaunching our website at the first of the year and we would appreciate some parent and student testimonials. Any thoughts or anecdotes that you would like to share would be a welcome addition to this exciting project! MIDDLE SCHOOL CHORUS AT THE STATE HOUSE: Our 6-8th graders have been invited to perform for the state legislature in Montpelier on Wednesday, January 25, during National School Choice Week. The 6-8th graders will attend a luncheon at Capitol Plaza at noon and perform at 1:00 pm. After the performance, one of our students will speak to the entire legislative body about what it means to be in an independent school. Immediately after that, middle schoolers will have a "social" gathering with local legislators to ask questions and to share their own testimonies. Parents are, of course, invited to join us at the Capitol on that day. We would love to gather the necessary volunteer drivers to shuttle us over and save the cost of a bus. Please let Nelia know if you can join us. Last week we learned about the holidays Hanukkah & Kwanzaa. This week we will talk about Christmas, and holiday traditions in Finland. Next Monday, Parents Abby Johnson & Kate Renner will be coming in to eat Latkes with us & to do a Hanukkah project. Next Wednesday is a half a day (12:00 dismissal for us). We will have a Holiday party at 11:15-12:00, parents are welcome to join and if you would like to make a treat please let me know. Language Arts: letter C, writing in our Journals. We are all practicing our own writing in our journals in different ways; writing own name, invented spelling, writing a sentence or pre- writing lines. Math: Counting Christmas items/making a counting book. Counting how many ornaments on a tree and holiday cookie patterns. Special Note: Anyone who wants to come in for a holiday project please let me know. Please make sure your child has ski pants, boots, hats and mittens for outside play. Classroom Needs: ** graham crackers, confectionary sugar & candies for gingerbread houses, we need for next week. Language Arts: We will continue with guided reading groups, which are working on various reading goals. First Graders will review short e, a, o and rhyming words with and in their spelling books. At the word work station, children have been learning winter and holiday words through various activities and will continue with them this week. Students will write about Hannukah traditions in Israel. Children will hear Greek Myths during read aloud, in preparation for Mythology Day. Kindergarten Math: The students are continuing to learn about addition. Most specifically all the different combinations you add numbers together and how to write number sentences. 1st Grade Math: Students will finish up the current unit on subtraction strategies. They’ll work on “break apart to subtract” strategy, using subtraction strategies to solve word problems and take the chapter review/test. They will have an introduction to chapter 5, Addition and Subtraction Relationships, at week’s end. Science/Social Studies: Last week the children learned about Christmas in France with Globe Trot Scott. They learned about a few Christmas traditions there and decorated “yule logs”. This week will be Hannukah in Israel. Spanish: We will be learning some more about holiday traditions in Latin America. Music: We will reinforce our learning of basic rhythms with a rhythm bingo game and participate in a holiday themed sound story. Special Note: Reminders: Please have children bring appropriate outerwear and inside shoes every day. Mythology day is Wednesday, December 21, with early release at 1:30. K-1 children will all dress in togas and participate in the activities with the older students. Togas will be provided. Holiday celebration to be held on Tuesday, December 20 in the morning. Bookmobile comes every Friday. Please have children return bookmobile books and drop them in the large plastic bin in the coatroom. Language Arts: Students continue their study of Greek Mythology. This week we’ll spend some time exploring different adaptations of Echo & Narcissus, Phaeton, and Atatlanta. Craft projects will accompany each study. Writing opportunities will include speech preparation for Mythology Day next week. Students will have the opportunity to explore myths on their own utilizing our classroom library. SMUG activities include: using the “right” word and different verbs with irregular forms. Spelling lists will be in boomerangs on Monday. Keep your eyes out for them! and subtracting within twenty. I’m hoping to make some time to make six pointed snowflakes for our classroom windows! 3rd Grade Math: We will work with multiplying with 8 and 9 as factors, and have a chapter assessment on Thursday. We’ll make a brief start into the next chapter, by examining patterns within multiplication and practice solving word problems using multiplication. I’m hoping to get some time to make six-pointed snowflakes for our windows! Science/Social Studies: We’ll spent the week exploring children’s literature focusing on December holidays of Hanukkah, Christmas, and Kwanzaa. Spanish: We will be trying a Spanish recipe together. Of Special Note: Please support your child as they research their mythological character of choice at home. They will need to have familiarity to complete their writing assignment in class this week. A few brief notes will help them keep the information fresh in their minds. They will also need a bit of assistance to make up their costumes...Please remember to keep it simple and keep it fun! Last time Skating Friday. Writing: Our focus this week will be on our Mythology Day project! Students will be reading myths and stories about their characters, then will be planning and creating a short comic about their figure. Students will also prepare brief speeches to recite on the actual Mythology Day to introduce who their character is and why they are an important figure in Norse mythology. Reading: Much of our reading will be focused on Norse mythology this week, but we will also continue to wrap up our reading of Charlotte’s Web! Students will read the last sections of the book independently and then we will be sharing our understanding of the text through a variety of mediums. Math: We continue to work through chapter 3 of GoMath, where we are now applying our knowledge of multiplication to problems with more digits. By the end of the week we will be using the traditional multiplication algorithm and solving multi-step word problems. Science: This week we will wrap up our whirligig investigations by testing the designs we created last week against the original design. We will also write claims about the variables that make a whirligig fall more slowly and back them up with evidence from our experiments. Genius Hour: We hope you will be able to join us at 1:15 in the barn on Wednesday where we will share our hard work from this semester! Outdoor Learning: Last week we had a great afternoon in the snow as we worked on building fires and making various objects out of wood by carving and coal burning. Please continue to send students with lots of layers and warm clothing on Thursdays! Snow pants are definitely suggested to help students be comfortable sitting and working on the ground in the snow. Spanish: We will be reading a story about the 12 Days of Christmas in Mexico and comparing that cultural celebration to our own at this time of year. PE: We continue our personal exercise plan: PEP! Special Note: With the winter break quickly approaching, our beloved pet Squirmsy is once again in need of a vacation home while I travel back to Pennsylvania. If you would be willing to take him, please let me know! He is a very low maintenance house guest. Science: Students will be creating a poster advertising a journey to their planet or other feature of the solar system this week. We are also looking forward to visiting the St. Johnsbury Planetarium on Wednesday. Math: Students will be wrapping up their learning in decimal multiplication this week. Trying to visualize how multiplying a decimal by a decimal actually makes the product less than the factors was tough but we are getting it! Readers’ Workshop: Students will be putting lots of practice time into their Hobbit skits which will be performed on Mythology day. Specifically they will be working on getting into character using information, not just from the scene but what they know from the whole story about the character. Writer’s Workshop: This week we will focus on punctuation in our mini-lessons, learning when you use dashes and hyphens and sorting out tricky comma usages. In addition to finalizing our stories we will be putting together short speeches for Mythology Day about characters from the Hobbit or other Tolkien stories. Social Studies: The goals we are reaching for with Riverside history are taking form! Students will be putting together a draft paragraph about their selected “Then” and “Now” pictures and preparing questions to ask a guest who will be visiting in January. Birch Buddies: Last week we had a great afternoon in the snow as we worked on building fires and making various objects out of wood by carving and coal burning. Please continue to send students with lots of layers and warm clothing on Thursdays! Snow pants are definitely suggested to help students be comfortable sitting and working on the ground in the snow. Spanish: We will be finishing up our maps of town and then reading a story about the 12 Days of Christmas in Mexico and comparing that cultural celebration to our own at this time of year. Special Note: Thank you Erin McMullen for helping chaperone our field trip to the Planetarium! English: We’ll finish A Christmas Carol and will review and prepare for the exam. Exam: Thursday afternoon. Math: Exam prep and content review. Exam: Monday, December 19, afternoon. Ancient History: We’ll review for the exam this week. Exam: Friday morning. Physical Science: They will continue exploring kinetics this week as well as review for their midterm exam. Exam: Thursday morning. Spanish A: Exam: Monday morning. We will be doing an individual prioritization of content to study, and planning review strategies. Latin: We’ll review for the exam this week. Exam: Tuesday morning. English: We’ll press on in A Midsummer Night’s Dream, with a slim chance of finishing the play this week. We’ll also prepare for the exam. Exam: Tuesday morning. Math: Exam prep and content review. Exam: Thursday afternoon. American History: We’ll do a quick study of the Revolutionary War before shifting to a review for the exam. Exam: Monday afternoon. Life Science: They will wrap up their studies of the immune system this week. They will take their test on it Tuesday and then study for their midterm as well as work on their research paper. Exam: Friday morning. Spanish B: Exam: Monday morning. Spanish C: Exam: Monday morning. Latin: We’ll review for the exam this week. Exam: Thursday morning. English: The kids will work on their Speak projects this week, and we’ll read a couple of short stories while also preparing for the semester’s exam (Thursday morning). Algebra: Exam prep and content review. Exam: Friday morning. Algebra II: Exam: Friday morning. World Issues: Exam: Monday morning. We will be discussing current events from South Africa and reviewing for the semester exam. Earth Science: They will study for their midterm exam as well as work on their 8th grade project this week. Exam: Tuesday morning. Latin: We’ll review for the exam this week. Exam: Thursday afternoon.